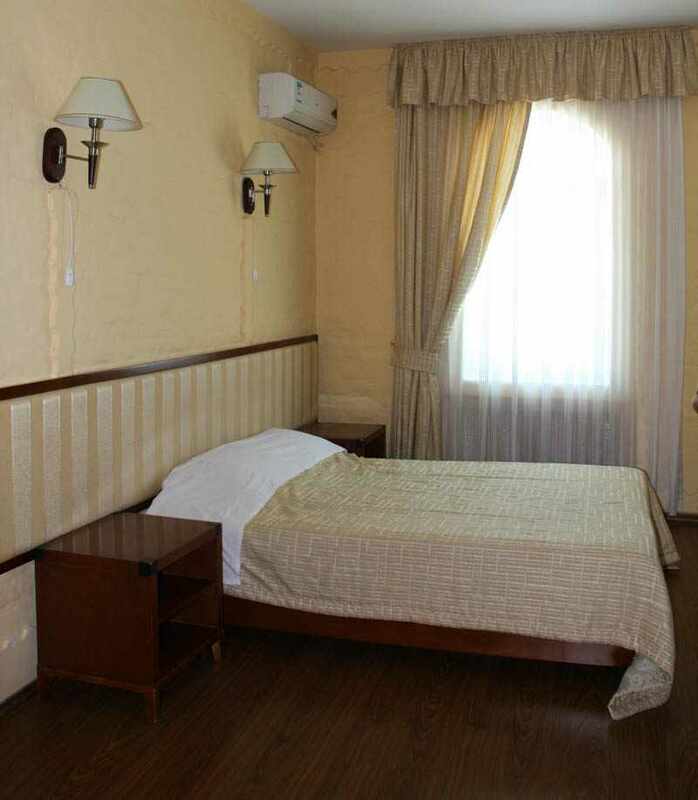 This three-star hotel in “retro” style is located conveniently in the city center (outside Vahidova St., close to the technical office UCELL mobile company). Fully meets the requirements of its category. It has first-class facilities, not only for your holidays but also for your business, your business meetings and conferences. 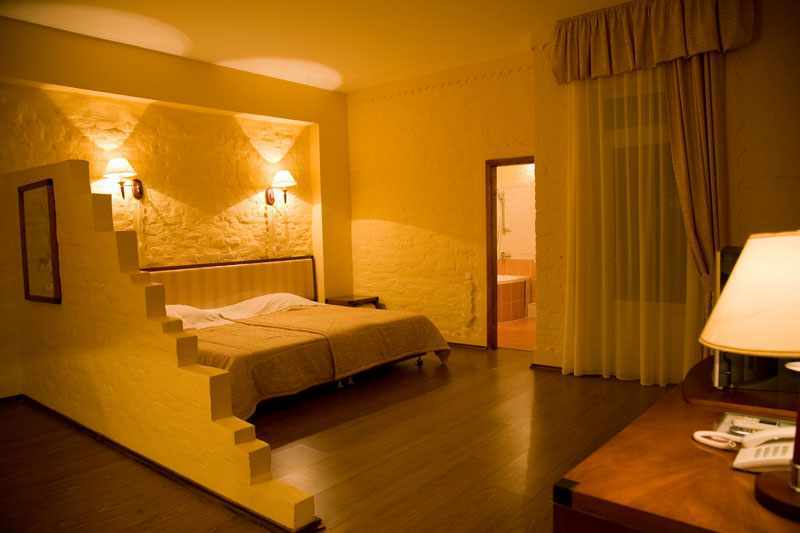 Hall of the hotel immediately makes a favorable impression: comfortable, fully equipped with all the necessary. There are desk administrator, guest toilet, a spacious elevator, payment by plastic cards (terminal). The hotel offers its guests 46 rooms. Total hotel accommodates 79 people. 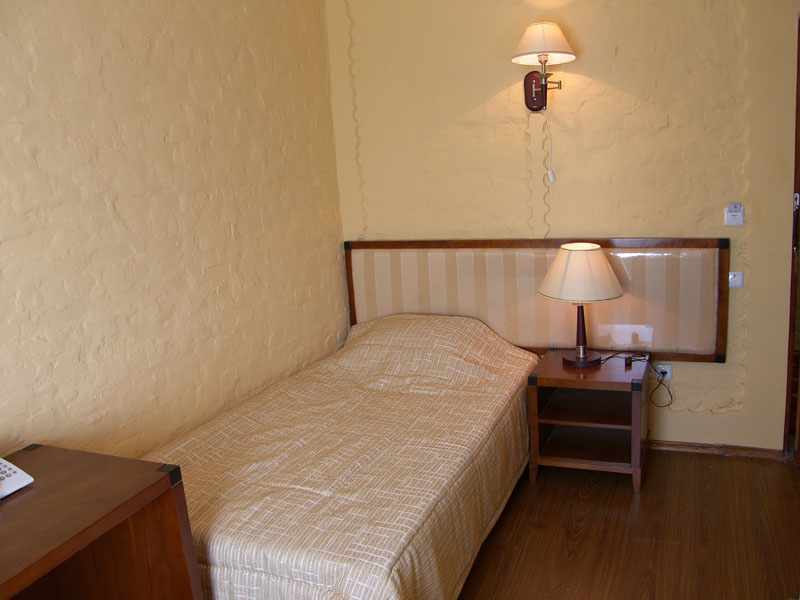 All rooms have high ceilings, air conditioning, large TVs, hot and cold water, telephone, refrigerator, hair dryer, cable TV, heating. The hotel has its own water heating station, which makes it even more comfortable. Temporary heating. The hotel has a an excellent restaurant with an excellent varied menu. The restaurant can accommodate up to 80 visitors. The menu offers you a national Uzbek cuisine and delicious European dishes and specialties from the chef. Restaurant offers you breakfast, business lunches, set meals, hearty dinners and dinners for groups of tourists. The stylish night bar is working at the restaurant. Bar – the perfect place for your evening relaxation. The inner courtyard of the hotel is very cozy and beautiful. There is an outdoor swimming pool and deckchairs. Summer kitchen in the courtyard is also very comfortable and it will be very convenient to receive your guests. Restaurant, bar and summer terrace invites you to spend a variety of celebrations, business events, as well as a friendly party.